Here’s the latest in our series about room ambience, following on from our Room Ambience infographic, which gave you ways to decorate and modify each room in the house to make it a lovely living space. 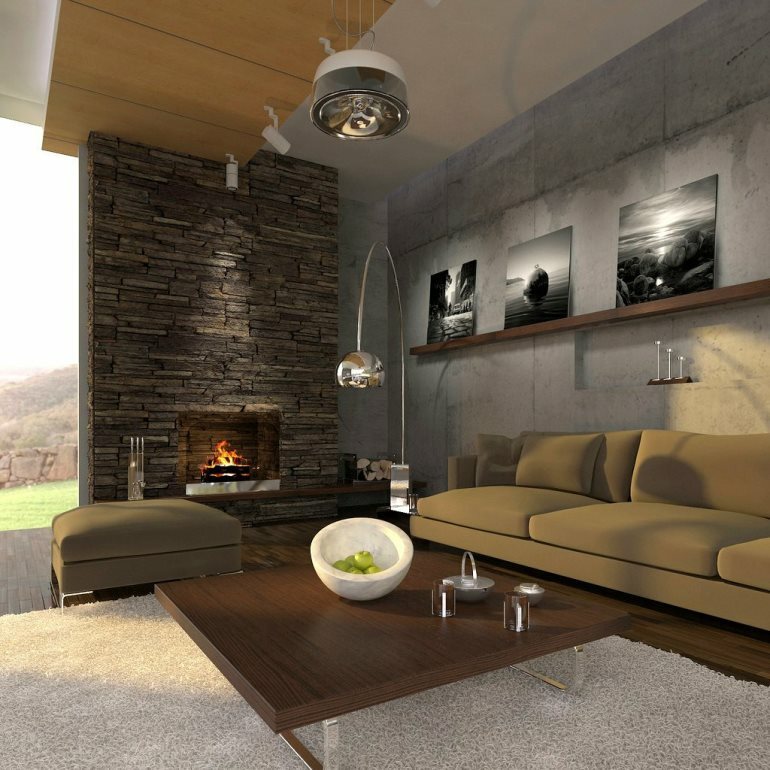 In this article we will cover the Living Room section, an area in your home where you may spend a lot of time unwinding, so it’s important to get it right. By having a red room it will trick your brain into thinking the room is warmer than it actually is. It doesn’t have to be red, we call them warm colours because that is exactly how they make you feel. A dull yellow, ochre, terracotta, burnt red, coral, whatever makes you feel warm will probably do the trick. 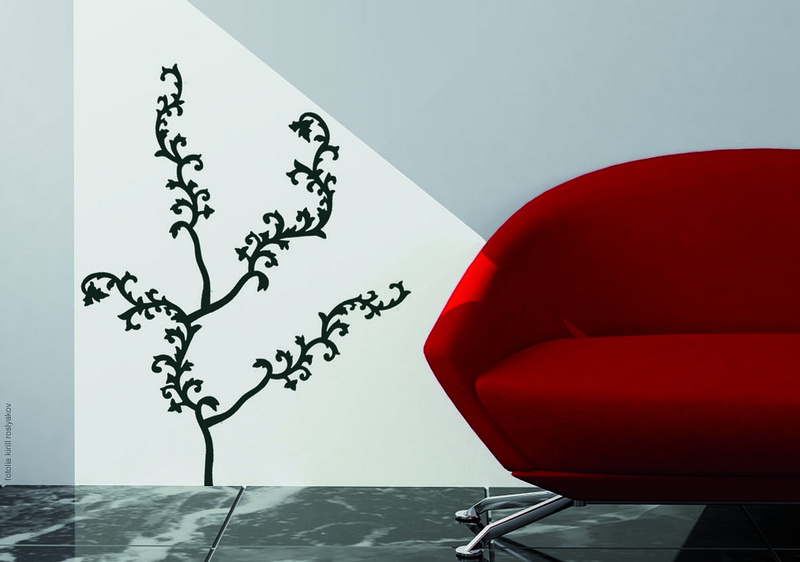 Some research has suggested that a red room can convince people it is 3.5 – 5.5 degrees warmer than the room really is. Might be a helpful way to reduce your energy bills. Is it too early for Christmas? 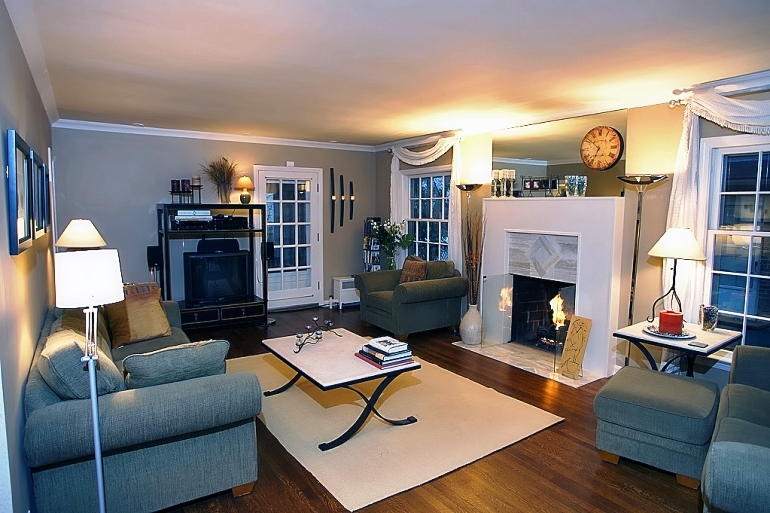 This is exactly how I imagine the most perfect living room ambience. It’s all about that feeling, being cosy and relaxed, but to achieve that lush feeling, you need to be warm. 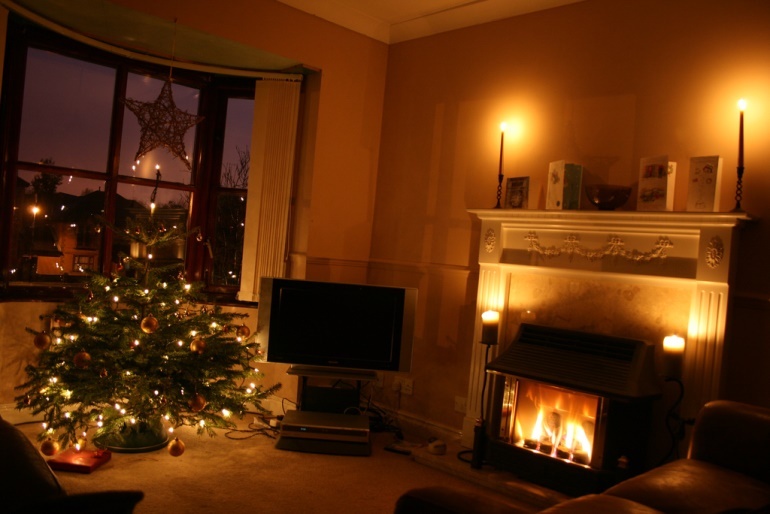 Make sure it has a good radiator, wood burner or for the ultimate and traditional comfort a nice open fire, another way to promote those relaxing vibes. Warmth also plays with your brain too. It helps you feel more trusting. The brain’s insular cortex is implicated in the processing of temperature and feelings of trust – in other words, have a toasty warm environment and you’ll feel more comfortable talking to guests in this room. By having a room without glaringly bright lights you will feel calmer, secure in your home and more prepared to have chit chat with those in the room with you. Dimmers are great because you can have that bright light when you need it, but when you’re feeling ready to chill out, you can turn down the light and get snuggled up on the sofa. Light and colour plays such a big part in how we feel, our comfort and even our moods. 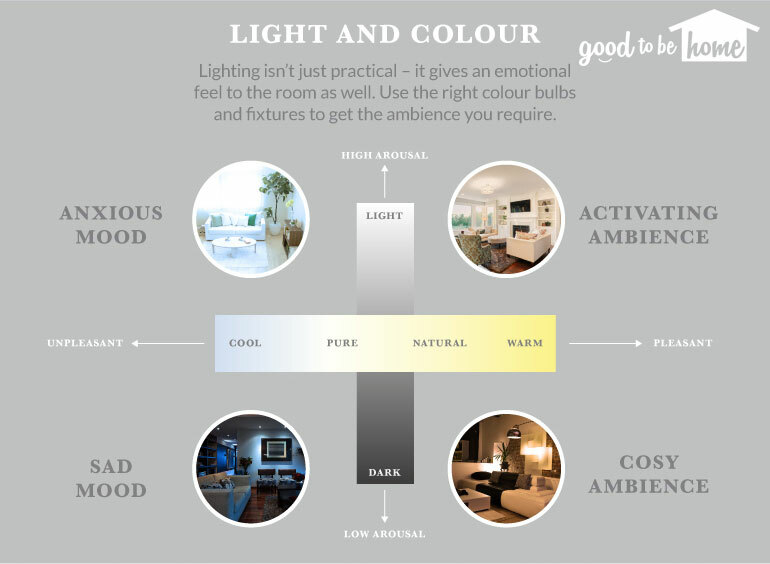 Here’s a rough guide to show you which colours promote which mood and feeling and you will see why the three points above have such a big effect on the room’s ambience.